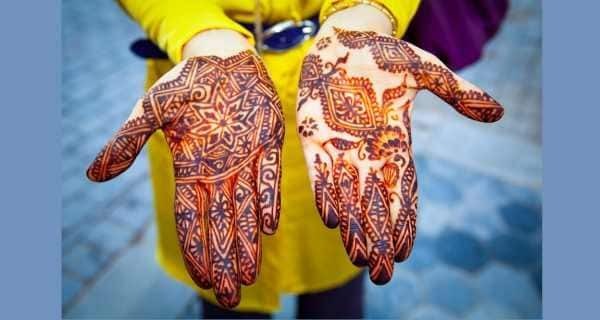 Home / Beauty / 5 side-effects of mehndi (henna) you should be aware of! 5 side-effects of mehndi (henna) you should be aware of! A must read for everyone who thinks mehndi is safe to use. No festival or wedding is complete without applying henna on hands. Known to be auspicious for the bride during her wedding day, mehndi (henna) has been used since ancient times for its far-reaching health benefits. Although widely used to colour hair and apply on hands, mehndi can cause negative effects as well. Although henna obtained naturally is free of chemicals, in some cases PPD (Para-phenylenediamine) is added to henna mixtures to intensify the colour and lower application time. But what most people are unaware of is the fact that PPD is a powerful allergen and its contact with the skin might trigger an allergic reaction. Common symptoms that you may experience include wheezing, itching, redness, burning and swelling of the skin. According to Dr Anil, ‘Applying mehndi to your hair might cause them to become rough due to the presence of harmful chemicals that are added to it while processing. Henna may also damage your hair shaft and make it more vulnerable to become dry.’ In some rare cases, use of henna for hair colouring might cause itching and eruption of boils on the head. When henna comes in contact with your eyes, it might cause redness and watering of the eyes. If you come across such a situation, wash your eyes with cold water and visit an eye specialist to get tested for any complications. Also, strong smell of the henna might lead to some hypersensitivity (but is very rare). Did you know these 9 interesting things your eyes reveal about your health? Children suffering from a rare condition called glucose-6-phosphate dehydrogenase (G6PD) deficiency, should stay away from applying henna on their hands. In this condition, when henna is applied, red blood cells tend to burst, leading to severe health complications. If this occurs, it is a case of a medical emergency and should be shown to the doctor at the earliest. Never consume henna in any form as it is considered to be unsafe for human consumption. Also, if you accidentally swallow henna, consult a doctor immediately. The health complications that might result include stomach upset, vomiting and other stomach complications. Always perform a patch test before applying henna on your hands or hair. Here’s how to do a patch test at home. To avoid rough hair caused due to exposure to chemicals in henna, oil your hair shaft before applying henna to reduce its side-effects. Another important fact to keep in mind – wash your hair with shampoo and conditioner (preferably herbal one) to lessen the negative effect on your hair. Read about 5 everyday ingredients that make excellent hair conditioners. If you experience itching, redness or oozing on the skin, wash off your hand or head and pop anti-allergy medications like Allegra or Avil. If you experience any of these conditions, consult a dermatologist at the earliest and do not apply any home remedy, like oil, to soothe the allergic reaction (as it might not help). So the next time you apply henna on your hands or hair, make sure you follow these tips to avoid unwanted side-effects. Be safe and stay healthy! 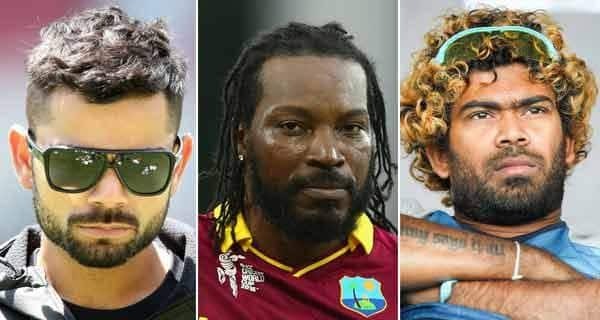 Virat Kohli, Chris Gayle or Lasith Malinga – which cricketer has the best hairstyle?